Cooler Insights: World's Worst Predator? Think of sharks and what's the first thing that comes to mind? Man-eaters? "Jaws"? Shark's fin soup? After watching Sharkwater, my perception of these apex predators in the sea changes entirely. And how. Thanks to my buddy Jason and Howard Shaw (Executive Director of Singapore Environment Council), I had the privilege of catching Rob Stewart's beautifully filmed documentary depicting his life long journey of loving and protecting sharks. An underwater photographer par excellence, Rob captures the magnificent creatures in their natural environment and is seen swimming, cavorting and even hugging the oldest swimming predators on Earth. - Every year about 5 people die from shark attacks. Contrast that with 100 killed by elephants and tigers, and about 8 million from starvation. - Sharks can only eat prey that can fit into their mouths. Their dentition (sharp inwards curved teeth) are inefficient for biting off large prey like man. - As the top predator in the oceans, sharks help to maintain the eco-balance and control the population of plant plankton eating fishes. Phytoplankton is the source of up to 60% of the world's oxygen supply as they take in carbon dioxide and give out oxygen during the process of photosynthesis. By killing sharks, we are destroying this balance and accelerating the problem of global warming. - Shark populations have declined by as much as 90% largely due to the shark finning industry. - Every year, a hundred million sharks are killed for their fins. In the 90 minutes that I watched the movie, 15,000 sharks have lost their lives. - One pound of dried shark fin can retail for $300 or more. It's a multi-billion dollar industry. Almost all of it goes to East Asian countries like China, Hong Kong, Taiwan and of course Singapore. 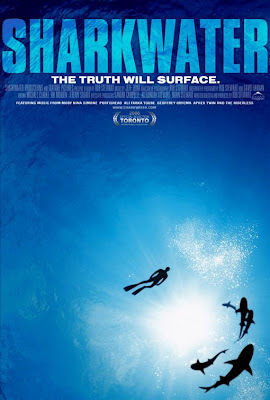 Some of the scenes in the movie were painful to watch, especially those capturing the senseless slaughter of sharks which were "finned alive" and thrown back into the ocean left to sink and bleed to death. Often, these victims become fodder themselves for other sharks and fishes - an irony to the king of predators in the oceans. Others managed to capture the sense of mission, heroism and activism which drove Rob and his friends like Paul Watson, controversial founder of Sea Shepherd Society to undertake dangerous activities. These include stopping and capturing of renegade fishing boats intent on engaging in long-line fishing which is damaging to sharks and other large marine organisms like turtles. All in all a great movie in the tradition of Al Gore's Inconvenient Truth with an even more important message. As an Asian and a consumer of shark's fin, I feel ashamed to be a part of the multi-billion dollar industry. In fact, if you think about it, much of the endangering of species like rhinos, tigers, bears, and whales are driven mostly by the food and purported medicinal uses in Asia. I have made a silent pledge not to eat shark's fins ever again. They are much better off swimming gracefully in the sea than in my soup bowl, and I don't want to destroy the world for my son.